Buena Vista represents a collection of 36 mobile homes that sit above a nearby sewage lagoon. The environmental impacts of the unlined lagoon and questions over public safety placed the neighborhood high on the priority list for a new treatment system. After altering its approach to bring down costs, Missoula County next week will rebid Phase 1 of a wastewater project planned for a mobile home park west of the airport. 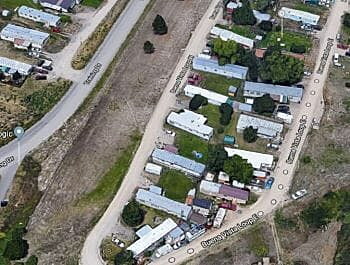 On Thursday, commissioners also awarded a contract to Great West Engineering of Helena to begin an engineering report for the project’s second phase, located at the Buena Vista Mobile Home Park. Last year, the county asked the state for an additional six months to find a qualified engineering firm to begin the work. The added time was needed after the project’s first phase came in well over bid. Phase 1 includes connecting the existing wastewater system to the city’s sewer main. It also includes a plan to rehabilitate and grade the old lagoon. When the project was sent to bid, however, it received just one contractor and was $100,000 over budget, Robertson said. He believes the issue has been resolved and expects a favorable bid this time around, followed by spring construction. Phase 2 will include land-use planning and other work to install a new main.